Lebanese Druze leader Walid Jumblatt released a statement of support today (Wednesday) for shooting attacks against Israeli targets, calling on Israeli Druze not to join the Israel Defense Forces, reported Haaretz. 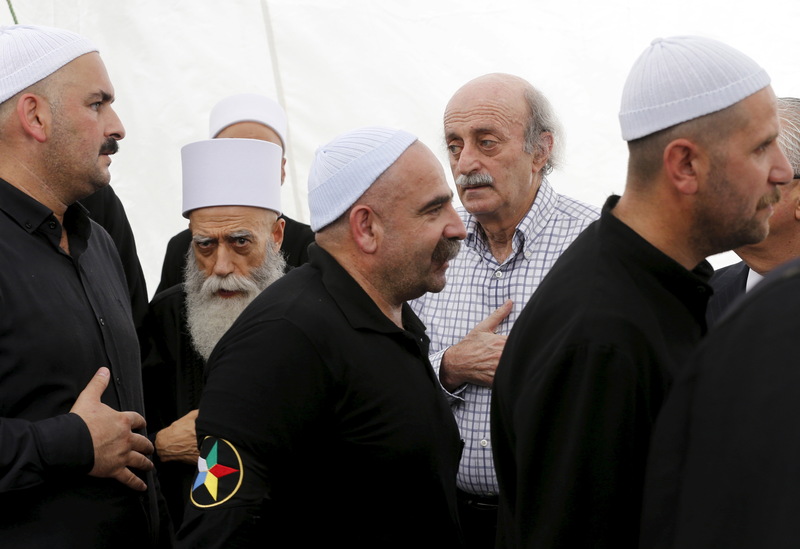 Jumblatt’s remarks were soundly criticized by Israeli Druze leaders, who normally refrains from clashing with traditional leadership in Lebanon. Jumblatt’s statement came in response to Friday’s shooting attack at the Temple Mount in which Muslims from the Israeli Arab town of Umm al-Fahm killed two Druze policemen, Hail Satawi and Kamil Shanan. Jumblatt said in a statement on Twitter blessing the “heroic mujahideen who killed the soldiers of the Israeli occupation in Jerusalem,” using the Arabic term for one engaged in Jihad, and calling on “all free Druze to oppose service in the Israeli army.” With regard to the magnetometers installed at the entrances to the Temple Mount over the past few days, Jumblatt said he opposed any harm to worshipper's dignity. In 2009, Jumbaltt told Ashams Radio, which broadcasts from Nazareth, that service in the Israeli security forces goes against the principle that the Druze are an inseparable part of the Arab nation. Halabi said Israel’s Druze did not need Jumblatt’s advice. Referring to Jumblatt’s father, he added: “I always remember the words of the great teacher Kamal Jumblatt: ‘He who flees from the battle for the sake of life is like he who flees from the battle for the sake of justice.'"